Team Street Meals hasn't added a story. Imagine spending 12 days on the street. What about 12 weeks? Or even 12 months? A Night in the Life helps build participants understanding of youth homelessness as they immerse themselves in their world for 12 hours. Homeless youth in Vancouver face a harsh reality. Directions Youth Services is aiming to change that by supporting over 1,000 of Vancouver’s most vulnerable, street-involved youth every year. With a good meal, hot shower, safe place to sleep, and more, Directions is caring for youth when they need it most. We need your help so that we can offer them safe, non-judgemental support to get back on their feet. Come together to make a measurable difference. Donate now or register today. Directions Youth Services works with the most vulnerable street youth living with complex mental health issues and addictions. We make a difference for these youth every day. Learn more at directionsyouthservices.ca. Team Street Meals hasn't posted any updates yet. Join Team Street Meals in making this campaign a success. Together we can do good for the cause we believe in. Set a personal fundraising goal of $2,500 or more. Your personal goal helps your team raise more money. Please enter a valid goal (minimum $2,500). Family Services of Greater Vancouver is managing the funds for this campaign. 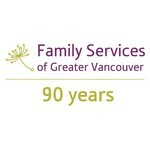 Family Services of Greater Vancouver is a verified organization.